Hi! 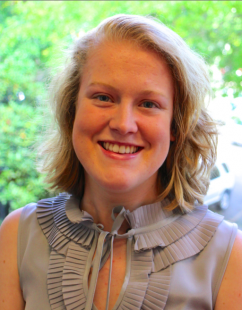 I’m Kate Cornelius, the new Marketing and Community Associate for OpenSesame. You may recognize me from the intern intro post as a lead marketing intern and as the author of blog posts throughout the summer. After taking about a month off, I’m back in a full-time marketing and community support role. I graduated last August from the University of Pittsburgh with a Bachelor of Science in anthropology, psychology, and women’s studies. My interest in marketing and business stems from my experiences working as a Pitt Pathfinder (campus tour guide and student recruiter) for the Office of Admission and Financial Aid and as the assistant manager of a Rita’s Italian Ice franchise. Working as an intern here at OpenSesame confirmed my passion for business and showed me that a startup is the perfect place for me! Joining the tech and startup scenes in Portland has been a great adventure- I’ve already learned so much. Working for an exciting tech startup allows me to combine my interests in social media and online marketing with customer support. The team here at OpenSesame is amazing; I’m so lucky to get to work with this great group of people. When I’m not working, I enjoy biking (which I do to and from work daily! ), stand-up paddleboarding, snowboarding, reading, exploring Portland, theatre, experimenting with vegan cooking, and hanging out with my cat Tempe. I’m very excited to start my career at OpenSesame and new adventure here in Portland. My job offer came as a most pleasant surprise as I was about to leave to return home to Cleveland. I fell in love with both Portland and OpenSesame and am so happy to be staying!